Presented by the SDSU Community Music School. For one week students are engaged in a dynamic combination of classes, performances, and social opportunities. Students will not only make music together, they will form lasting friendships. This year HCMP will also be open to pre-formed adult chamber groups, with an option to participate for less than the full five days (at prorated tuition). Registration: Online registration available below. A non-refundable deposit of $75 will be due after you register. Early Registration (10% discount) deadline is April 15, 2019. Final Registration deadline is May 25, 2019 at 11:59 pm. Please contact Director Carina Voly at 619-594-1699 or sdsucommunitymusic@mail.sdsu.edu for additional information. * Younger students will be accepted on a case-by-case basis. The social nature of chamber music creates a space for students to learn through cooperation, encouragement and energetic engagement in an extremely hands-on environment that creates a strong sense of community, fostering positive social interaction with like-minded peers. Hausmann Chamber Music Program is a fully-immersive chamber music center for learning, creativity and musical exploration. 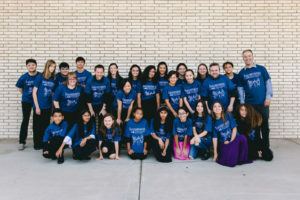 The mission of the Hausmann Chamber Music Program is to develop a community of engaged listeners and music lovers by sparking excitement, passion, and the spirit of curiosity through hands-on, year-round chamber music training, including coaching, master classes with Hausmann Quartet and visiting artists, performance opportunities, special topic workshops, and forums. HCMP welcomes each participant’s background and unique personality, and is committed to creating a safe, inclusive, and nurturing learning environment.